What’s your favorite Cleanse for Life® ingredient? For some, it might be aloe gel or peppermint for their digestive-soothing benefits, B vitamins for metabolism support, or turmeric and ashwagandha for their help with natural detoxification. Because of its ingredient composition, Cleanse for Life is a versatile product that provides a variety of benefits depending on how you consume it. When taken each morning or at nighttime, it provides daily antioxidant protection. For those seeking weight loss or detoxification support, it’s a fundamental component of Cleanse Days. With Cleanse for Life’s demonstrated benefits in mind, its ingredients are worthy of a closer look. Among the B vitamins in Cleanse for Life are niacin, vitamin B6, and vitamin B12. These vitamins are essential nutrients because of their roles in normal metabolism of proteins, fats, and carbohydrates and converting food into energy. However, they also play a role in supporting the body’s normal antioxidant and detoxification systems. Niacin and B6, for example, are essential for the regeneration of cellular antioxidant and detoxification components (1). Vitamin B12 is also involved in the detoxification of homocysteine to help maintain cardiovascular health (2). Choline and inositol, also ingredients in Cleanse for Life, are closely related to B vitamins and function by supporting normal metabolic and liver function (3, 4). Cleanse for Life also features a variety of botanical ingredients with benefits that range from soothing the digestive system to providing detoxification support. Working in synergy, the combination of these ingredients is designed for proper nourishment on Cleanse Days as well as for daily use. Aloe vera inner-leaf gel is an ingredient that shouldn’t be confused with aloe latex found in the outer part of the plant and known for being a laxative (5). In fact, the gel used in Cleanse for Life is charcoal processed to ensure no trace of any laxative component from aloe latex remain. The gel itself, however, contains polysaccharides associated with digestive support and in improving nutrient bioavailability (6,7). Turmeric is another Cleanse for Life ingredient that contains a wide number of phytochemicals, but the primary component that’s attracted worldwide scientific inquiry is curcumin (8-10). Curcumin’s influence on metabolic pathways are numerous and complex. These include supporting detoxification, decreasing markers of oxidative stress in overweight and middle-aged adults, and supporting blood vessels and lipid metabolism, effects that contribute to brain and cardiovascular health (8-10). Ashwagandha, an ancient Ayurvedic herb, is an adaptogen with many traditional and modern uses. 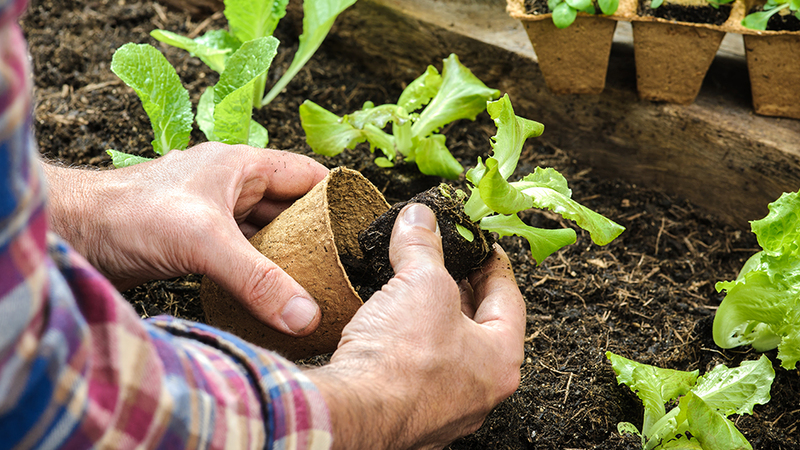 Its chief biologically active components are withanolides found in the plant’s roots (11, 12). 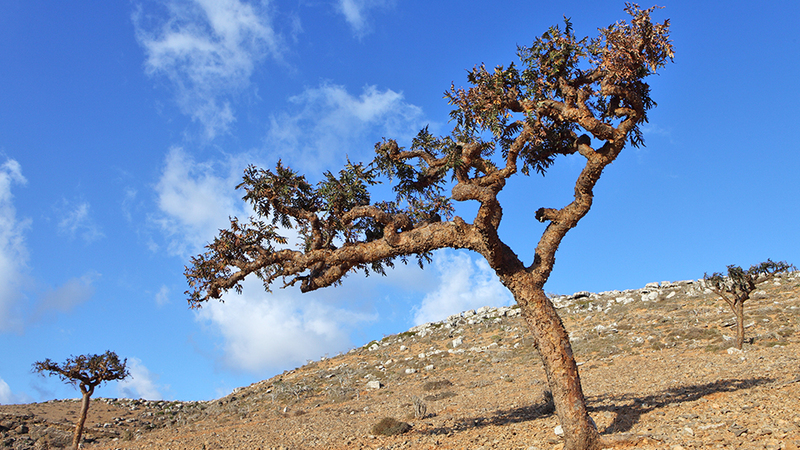 Eleuthero and rhodiola, also traditional adaptogenic herbs, are used in Russia and Scandinavia to strengthen the body’s resistance to stress and improve energy levels (12, 13). Scientific evidence suggests that the phytochemicals in these adaptogens work as key mediators in helping the body maintain homeostasis during stress (12, 13). Through this mechanism adaptogens also offer beneficial effects on the immune system and mental health. Bilberry, raspberry, and purple carrot are notable for imparting color and flavor while also providing a source of polyphenols, most prominently, anthocyanins (14, 15). These anthocyanins have been investigated scientifically for a variety of positive effects on metabolic processes particularly in middle-aged and overweight adults (15). Peppermint and fennel also add hints of flavor while, along with suma (or Brazilian ginseng), also providing soothing support for the gastrointestinal tract (16, 17). In combination with aloe gel, these ingredients make Cleanse for Life helpful for supporting gut health during all-day use on Cleanse Days. Collectively, these ingredients as components of Cleanse for Life demonstrated significant antioxidant protection while promoting the expression of key detoxification enzymes in a cellular model of oxidative stress and toxicity (18). The cells in the study not only lived longer but also exhibited signs of thriving with less signs of cellular stress (18). 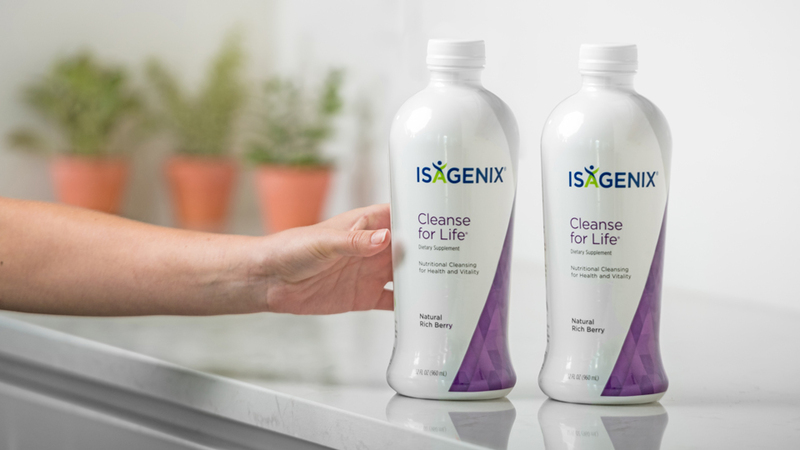 Moreover, the use of Cleanse for Life and IsaLean® Shake was further studied in research that evaluated the release of toxins into the bloodstream during a weight loss regimen (19). The study found that nourishment from the products on Cleanse Days and Shake Days was associated with a concomitant reduction of oxidative stress and improved antioxidant status (19). Getting to know each of Cleanse for Life’s ingredients can help guide how to best to use the product, such as whether to consume it daily or as part of Cleanse Days. It can also provide you a better understanding of why Cleanse for Life is one of the most original and popular Isagenix products. Agledal L, Niere M, Ziegler M. The phosphate makes a difference: cellular functions of NADP. Redox Rep. 2010;15(1):2-10. Huang T, Chen Y, Yang B, Yang J, Wahlqvist ML, Li D. Meta-analysis of B vitamin supplementation on plasma homocysteine, cardiovascular and all-cause mortality. Clin Nutr. 2012;31(4):448-454. Rolo AP, Teodoro JS, Palmeira CM. Role of oxidative stress in the pathogenesis of nonalcoholic steatohepatitis. Free Radic Biol Med. 2012;52(1):59-69. Upton R, Axentiev P, Swisher MA. Aloe vera leaf, aloe vera leaf juice, aloe vera inner leaf juice, Aloe vera (L.) Burm. f. Standards of Identity, Analysis, and Quality Control, American Herbal Pharmacopoeia, 2012. Zhang Y, Liu W, Liu D, Zhao T, Tian H. Efficacy of aloe vera supplementation on prediabetes and early non-treated diabetic patients: a systematic review and meta-analysis of randomized controlled trials. Nutrients. June 23, 2016;8(7). Vinson JA, Al Kharrat H, Andreoli L. Effect of Aloe vera preparations on the human bioavailability of vitamins C and E. Phytomedicine. 2005;12:760–5. DiSilvestro RA, Joseph E, Zhao S et al. Diverse effects of a low dose supplement of lipidated curcumin in healthy middle aged people. Nutr J2012;11:79, 2012. Cole GM, Teter B, Frautschy SA. Neuroprotective effects of curcumin. Adv Exp Med Biol2007;595:197-212. White P.T., Subramanian C., Motiwala H.F., Cohen M.S. (2016) Natural Withanolides in the Treatment of Chronic Diseases. In: Gupta S., Prasad S., Aggarwal B. (eds) Anti-inflammatory nutraceuticals and chronic diseases. Advances in Experimental Medicine and Biology, vol 928. Darbinyan V, Kteyan A, Panossian A, et al. Rhodiola rosea in stress induced fatigue–a double blind cross-over study of a standardized extract SHR-5 with a repeated low-dose regimen on the mental performance of healthy physicians during night duty. Phytomedicine 2000;7:365-71. Manganaris, GA., Berry antioxidants: small fruits providing large benefits. J Sci Food Agric 2014; 94: 825–833. Olejnik A, Rychlik J, Kidoń, M., et al. Antioxidant effects of gastrointestinal digested purple carrot extract on the human cells of colonic mucosa, Food Chem, 2016, 190:1069-1077. Valussi M. Functional foods with digestion-enhancing properties. Int J Food Sci Nutr. 2012; Mar;63 Suppl 1:82-9. Costa CARA, Quaglio AEV, Di Stasi LC. Pfaffia paniculata (Brazilian ginseng) extract modulates Mapk and mucin pathways in intestinal inflammation, Ethnopharmacol, 2018; 213: 21-25. Gumpricht E, Kumar R, Hussain A, et al. A Natural Herbal Beverage Exhibits Significant Cytoprotection and Promotes Nrf-2 Activation in Cells April 2015 FASEB J 2015;29 (Supplement) Abstract #607.1. He F, Zuo L, Ward E, Arciero PJ. Serum Polychlorinated Biphenyls Increase and Oxidative Stress Decreases with a Protein-Pacing Caloric Restriction Diet in Obese Men and Women. Int. J. Environ. Res. Public Health 2017, 14, 59.